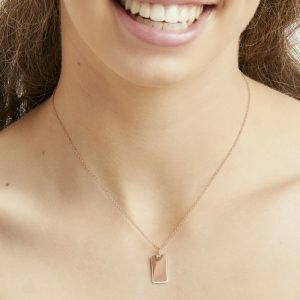 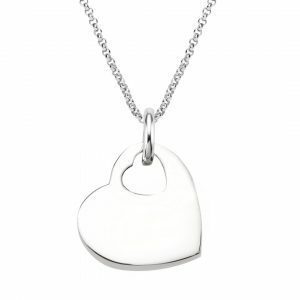 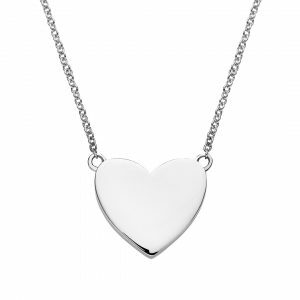 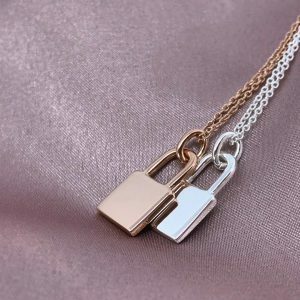 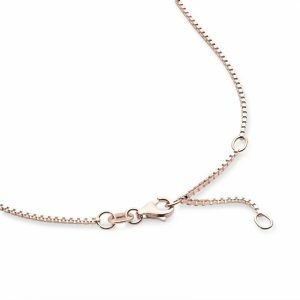 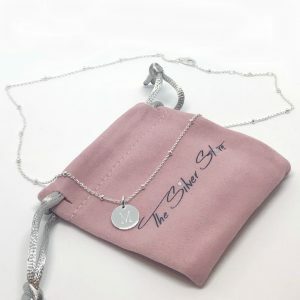 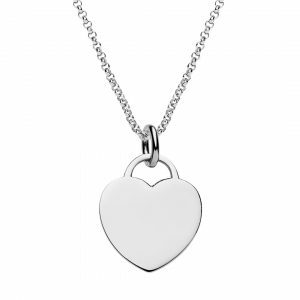 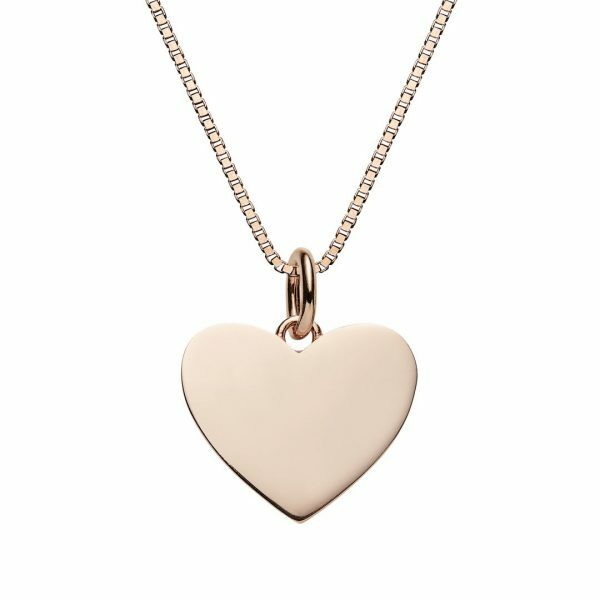 Our box chain and heart pendant are made from sterling silver plated with rose gold. 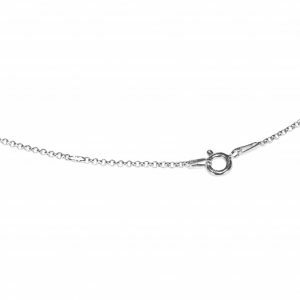 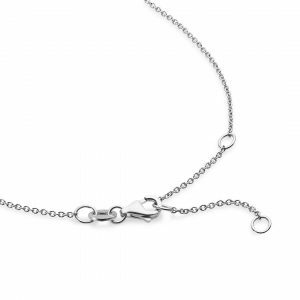 This box chain can be worn at a variety of lengths and has a lobster clasp. 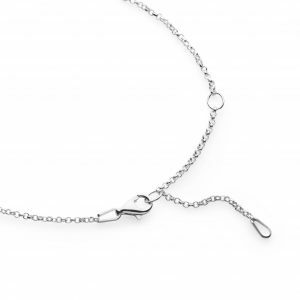 Length 44cm, variable length from 39 – 44cm. 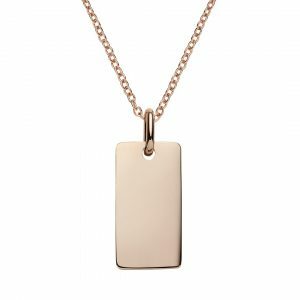 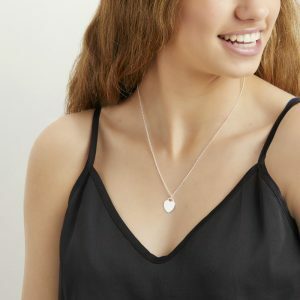 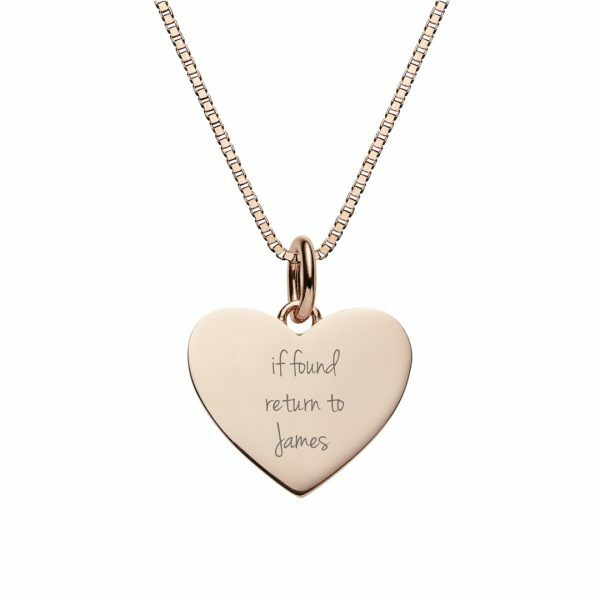 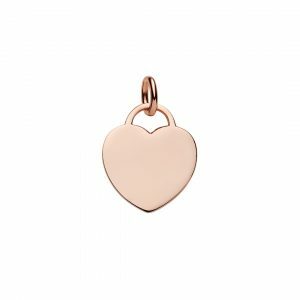 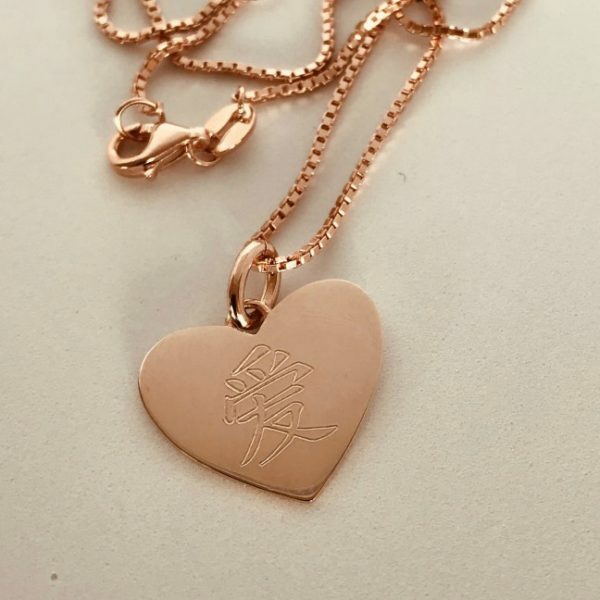 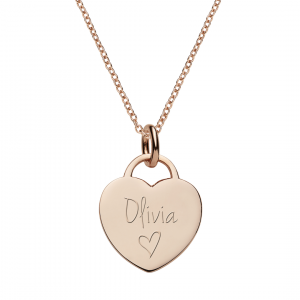 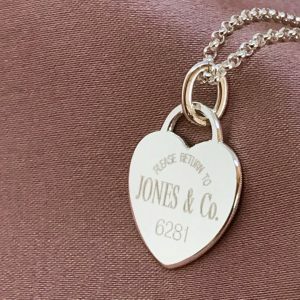 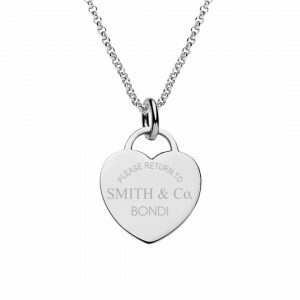 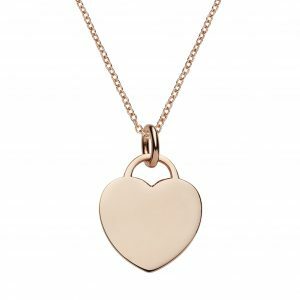 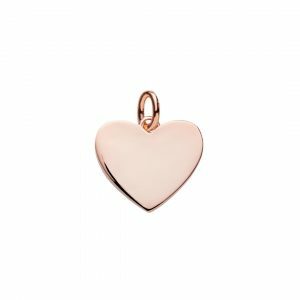 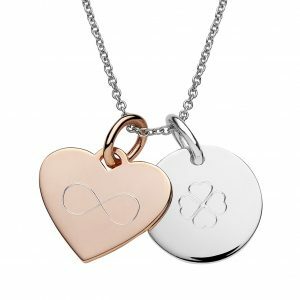 The rose gold heart pendant can be personalised with a message, initials, monogram, names or symbols. 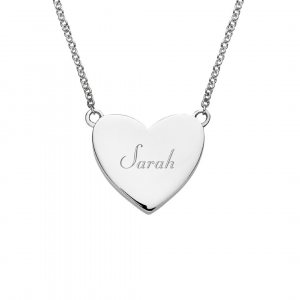 We can also custom engrave for you. 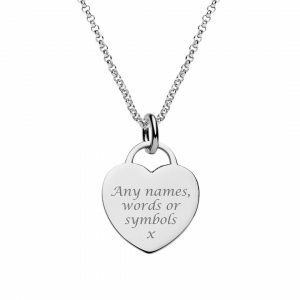 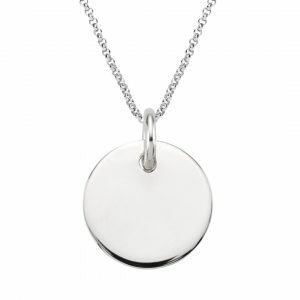 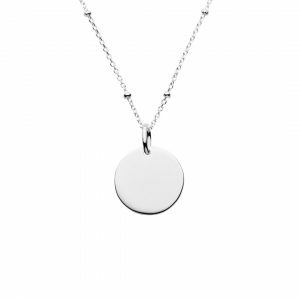 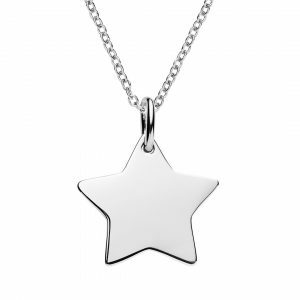 Simple is always best, we recommend no more that 6 small words engraved.